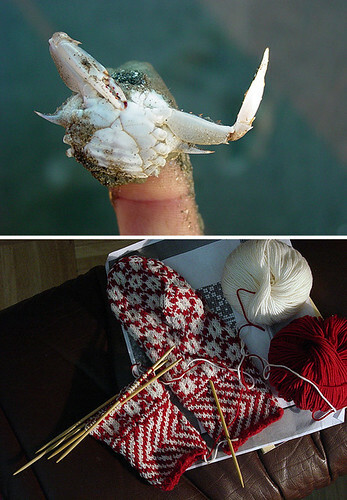 at the beach and mitten progress : taken a week ago today. The last surprise is my email is not working. Last night I couldn't access it, and this morning I could, but now ALL of my emails are GONE! oh well. I hope your day is full of pleasant surprises! oh, the bread turned out well yesterday. I'll post the recipe.